Local food is good for health and the environment. Buying local builds a strong local economy and a resilient food system, ensuring there is an adequate supply of fresh and healthy food in the community. Consumers concerned with how their food is grown and raised enjoy greater transparency through interaction with local food producers. 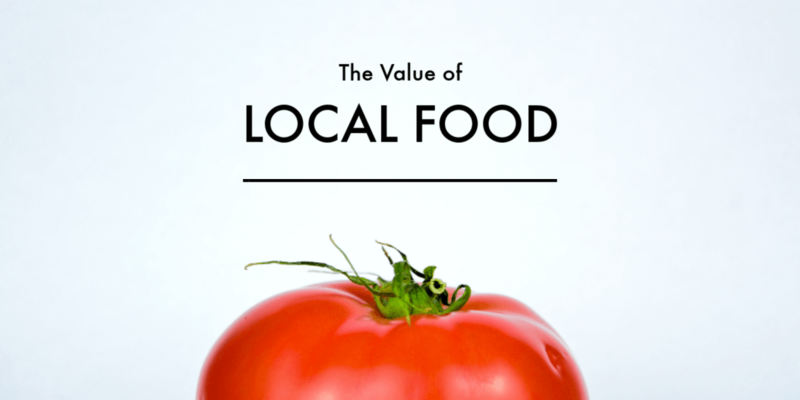 The benefits of local food are undeniable, but the price of local products is often higher than conventional goods. Inconvenience accessing locally grown produce and meat also keeps consumers from spending more of their food budget on local fare. 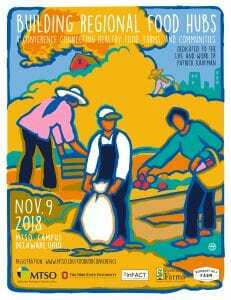 Communicating the health, environmental and economic benefits of local food justifies the added cost and effort consumers must make to obtain it. Farmers can communicate the true value of local food through conversations, samples, in-store signage, newsletters, menus, blogs and vlogs, and agritourism. 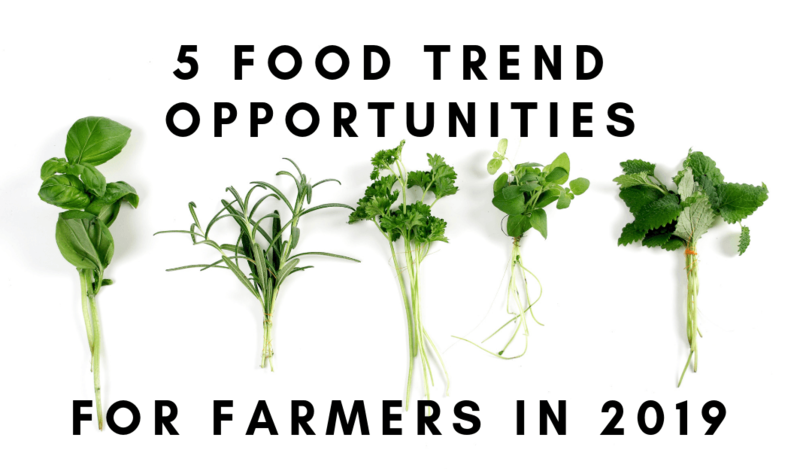 Direct sales are an opportunity for farmers to communicate the value of local food to customers. “Consumers‘ Preferences for Locally Produced Food: A Study in Southeast Missouri” found consumers’ want to know the farmer behind their food. ¹ Since traditional grocery stores and food distributors cannot share the story behind the food, farmers’ ability to engage consumers in conversations about local foods during direct sales is a competitive advantage. When conversations with customers are not possible, in-store signage informs consumers of opportunities to buy local and support farmers in their community. On a recent trip to the supermarket I noticed signage featuring a rancher selfie with cattle. The sign invited shoppers to buy beef raised on local pastures to support area farmers. Freshness, taste and quality are the top reasons consumers purchase local food over conventional goods. ¹ Offering samples invites consumers to see, smell and taste the local food difference. Samples also inspire consumers to try local favorites in new ways. Local honey drizzled over Ohio cheese and apple dumplings made with fruit from a hometown orchard, demonstrate local products’ superior flavor and versatility. 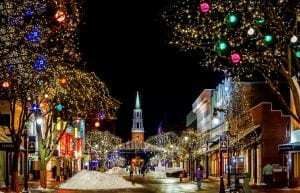 Restaurant menus and advertisements that list sources of local ingredients show hometown pride. 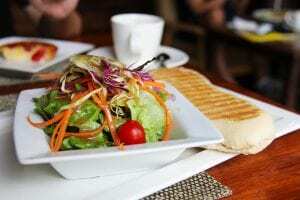 Diners are less sensitive to premium-priced meals when they know their choice supports agriculture in their community. 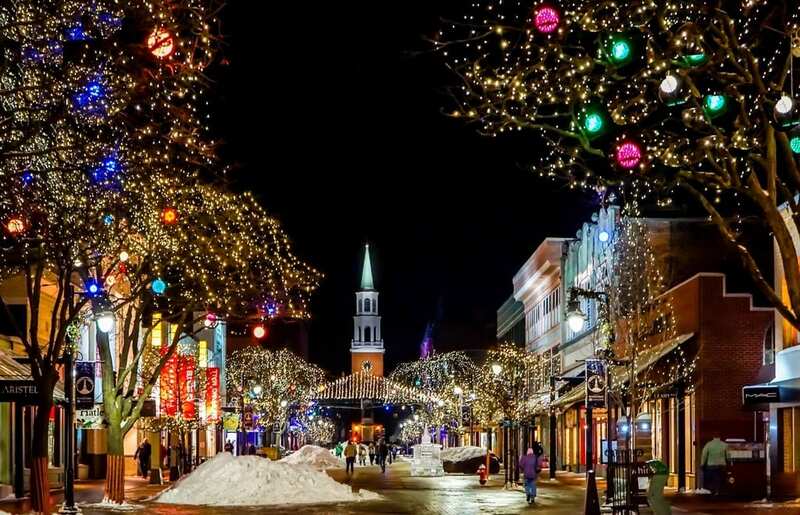 Their purchase of local food from a local business reduces food miles, invests in area infrastructure, and create jobs in the community. 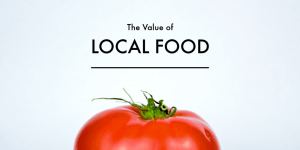 Newsletters communicate the value of local food in depth. Farmers can educate consumers about the health benefits of just-picked produce, sustainable production of pastured poultry or grass-fed beef. Readers learn what’s in season now, and what fresh produce to look forward to in the future. Farmers can engage customers by asking them to submit their favorite seasonal recipes or share a testimonial about their love of local food. Newsletters share regional farm and garden events and tell customers where they can purchase farm products or how they can support local farms. Print and digital newsletters make sense depending on delivery. 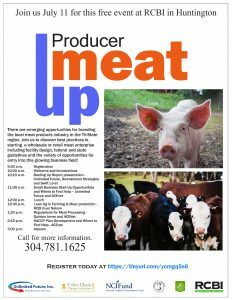 Print newsletters work well in direct sales situations such as Community Supported Agriculture (CSA). Farmers who don’t have direct contact with consumers can create digital newsletters. 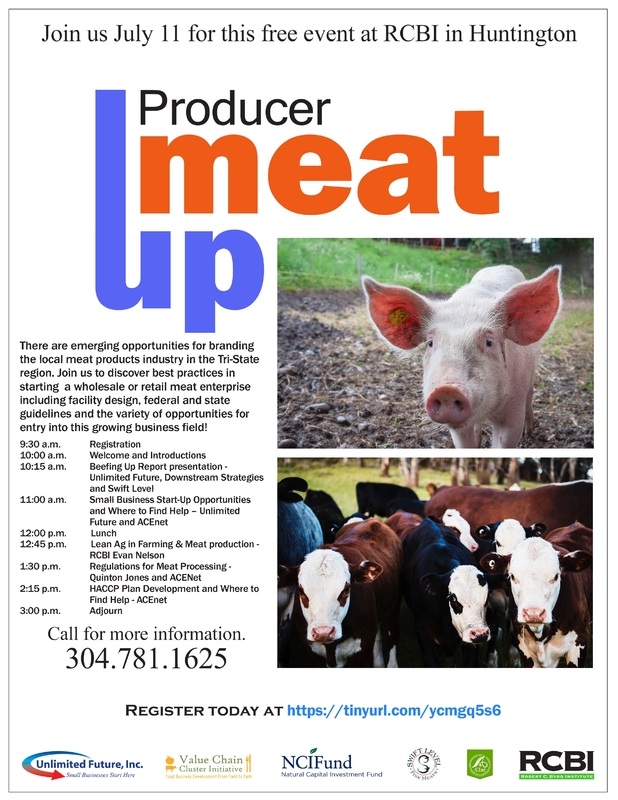 Farmers can use free Microsoft Word templates to create newsletters and email to a list of subscribers. Alternatively, email marketing services such as Constant Contact and Mail Chimp are an easy way to create and manage newsletter subscriptions online. Blogs and vlogs are a window into farmers’ world. A blog is an online dairy of personal experiences and opinions. Vlogging (video blogging) is great for farmers who don’t enjoy writing or have limited time to create content. Both give consumers whom may never step foot on a farm an opportunity to experience agriculture and virtually participate in food production. 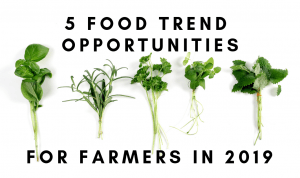 Inviting consumers to the farm is a powerful way to communicate the value of local food. Pasture walks, volunteer days, “How-to” and “DIY” clinics combine entertainment and education. Agritourism creates positive associations with farming and food production in the minds of consumers. It deepens their connection and commitment to local food. Brown, Cheryl., “Consumers‘ Preferences for Locally Produced Food: A Study in Southeast Missouri.” American Journal of Alternative Agriculture. Vol. 18, Iss. 4, December 1, 2003, pp. 213-224. Article originally published in Farm & Dairy Newspaper, October 5, 2018. The 2018 National Farm to Cafeteria Conference brought together educators, dieticians, foodservice staff, farmers and local food advocates from across the country in Cincinnati, Ohio in late April. Attendees discussed how Farm to School initiatives enrich their communities, strengthen the food system and boost local economies. 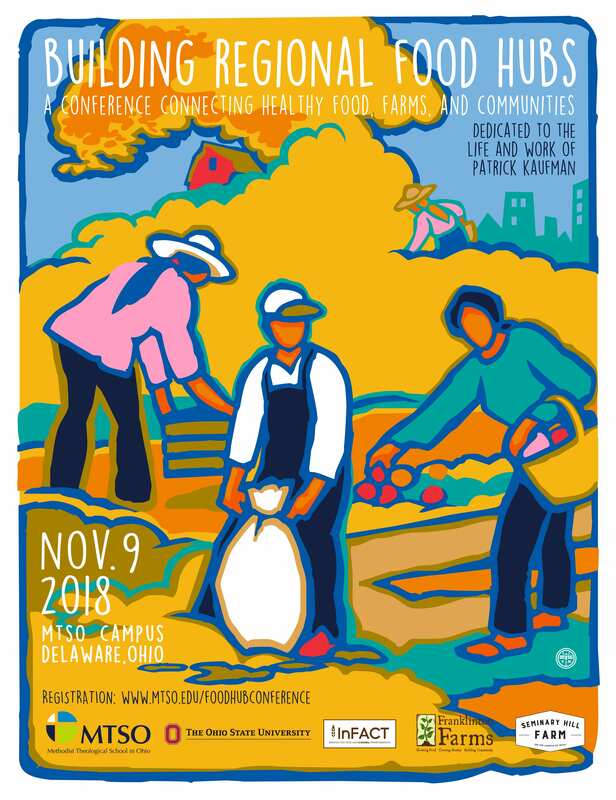 Conference sessions shared best practices to boost local food consumption in the cafeteria and provide agriculture, food, health and nutrition education to students. The conference featured field trips to several Ohio food and farm destinations. The CFAES Center for Cooperatives guided tours “From Garden to Food Hub” and “The Science of Local Food” at the Ohio State University South Centers. On the conference’s final morning, twenty conference attendees boarded the bus for a 2-hour scenic trip from the conference center in Cincinnati to OSU South Centers in Piketon. They participated in the award winning food-science program “The Story of the Strawberry.” The program is a partnership between OSU Extension Pike County, OSU Horticulture and OSU Food, Nutrition and Wellness. 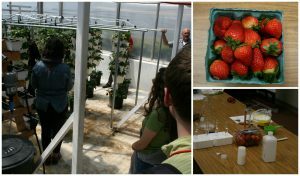 Attendees learned about plasticulture strawberry production and OSU researchers’ efforts to extend the Ohio harvest season from a historical 3-week strawberry harvest to a 3-month harvest window. 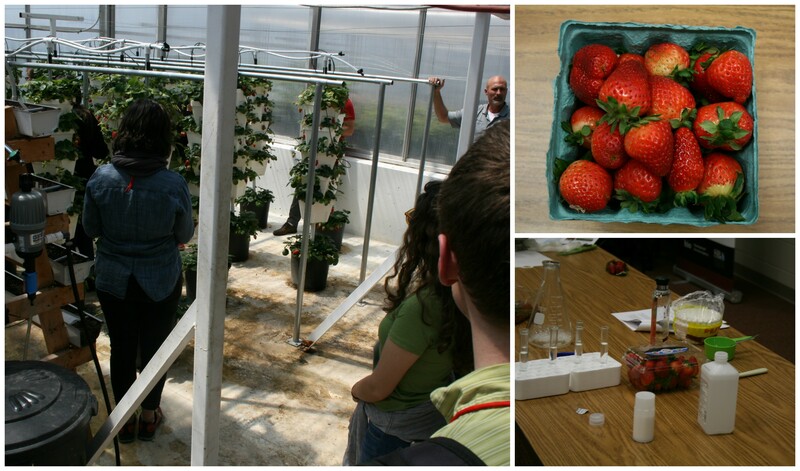 Attendees also gained disease prevention insights from current berry nutritional research. Hands-on activities included taste tests and strawberry DNA extraction. Next, the group got on a hay wagon for a tour of South Center’s research plots. They visited the hops yard, grape vineyard and aquaculture ponds. Attendees learned about services provided to new businesses in South Center’s unique business incubator, the 27,000-square foot Endeavor Center. The Business Team shared how they help entrepreneurs, including agricultural producers and food manufacturers, start and grow businesses in southern Ohio. CFAES Center for Cooperatives Program Manager Hannah Scott greeted twenty-five conference goers on a sunny afternoon outside of the Duke Energy Convention Center for a tour focused on local food aggregation and distribution. Attendees visited the facilities of Our Harvest Cooperative and Ohio Valley Food Connection located in The Incubator, a commercial kitchen and food aggregation incubator in northern Kentucky, to learn about the collaboration between the two southwest Ohio food hubs to move more local food to institutions. The field trip also took attendees to Fox Tail Farm in New Richmond, Ohio, a small produce farm marketing produce like carrots and greens through a hub. Participants learned about the farm’s production techniques and the advantages the farm experiences marketing through a hub. The unique challenges of moving locally produced food from farms to restaurants, cafeterias, and retailers have been a focus of the Center for Cooperatives since 2014 through the Ohio & West Virginia Food Hub Network and technical assistance work with food hubs. According to a recently released study from Michigan State University’s Center for Regional Food Systems and Wallace Center at Winrock International, approximately 31% of U.S. food hubs marketed products to k-12 schools in 2017. Despite challenges, food hubs can help producers access larger markets than they may be able to working on their own. In 2017, approximately 18% of food hubs in the U.S. were cooperatively owned. Educators, dieticians and food service staff, farmers and local food advocates from across the country gathered in Cincinnati last week for the 2018 National Farm to Cafeteria Conference. They discussed how Farm to School initiatives enrich their communities, strengthen the food system and boost local economies. Farm fresh food benefits not only students but the farmers that grow it for students. Scaling-up to sell to schools presents challenges, but farmers have achieved success through cooperation, collaborative relationships with buyers and year-round purchasing programs. Institutions are a dependable market that provides farmers with timely and reliable payments. Clarity of a cafeteria’s needs allows farmers to plan production and delivery in advance. Schools streamline procurement, delivery and invoicing processes so farmers can focus their energy on producing high-quality food to nourish students. Some schools incorporate agriculture and nutrition education into Farm to School programming. Farmers that are passionate about inspiring the next generation of healthy eaters may have an opportunity to partner with educators to teach youth about what it takes to get food from the farm to the cafeteria. Schools purchase a large volume of product. Small operations often struggle to produce a volume sufficient for foodservice needs. Cooperative marketing is a solution. An agricultural cooperative can aggregate multiple farms products to achieve intuitional volumes. A co-op offers farmer-members other benefits such as group food safety certifications, shared distribution and reduced costs on supplies. The Preston Growers Cooperative formed in response to the West Virginia Farm to School initiative. Working together, farmers achieve institutional volumes, maintain quality and offer a wider selection of products to local schools. Farmers receive lower prices from institutional sales than other direct marketing channels. School buyers have tight budget constraints when making food purchasing decisions. 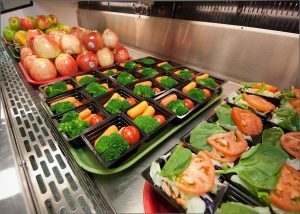 The average school lunch cost $2.90 to prepare, only $1.07 of the total cost is allocated to food. The remaining $1.83 goes to labor, preparation and indirect costs. ³ Marketing Michigan Products: A Step-by-Step Guide from Michigan Farm to School is a free online resource that helps farmers prepare bid documents, price their products and negotiate contract agreements. The school cafeteria is vacant during much of peak fruit and vegetable season. Minimal processing, such as freezing fresh food for future use, can be a solution. Cafeteria staff may process the food in the school cafeteria or coordinate with a food hub or co-packer to process the food in an approved facility. The Ohio Department of Education’s Summer Food Service Program provides a consistent market for farmers by purchasing food when school is not in session. Meals are served to youth enrolled in summer education programs at local YMCAs, libraries and other partner organizations. Farmers that have successfully sold to schools suggest developing working relationships with school dieticians, buyers and food service staff. Farmers should clarify vendor requirements, volume, packaging, delivery, insurance, payment terms and necessary food safety certifications prior to making the first delivery. Regular communication throughout the school year is vital to success. For more information on Farm to School in Ohio visit http://farmtoschool.osu.edu/. To learn about the Ohio State University Dining Service’s goal to purchase 40% local and sustainable Food by 2025 visit https://dining.osu.edu/sustainability/local-and-sustainable-food/. “Farm to School Census.” 2015. U.S. Department of Agriculture Food Nutrition Service. Christensen, L., Jablonski, B., Stephens, L. & Joshi, A. “Economic Impacts of Farm to School: Case Studies and Assessment Tools.” Sept 2017. National Farm to School Network. Retrieved April 27, 2018 from http://www.farmtoschool.org/Resources/EconomicImpactReport.pdf. “School Lunch and Breakfast Cost Study-II.” 2006. U.S. Department of Agriculture Food Nutrition Service.